When Syria’s civil war began in 2011 as an outgrowth of the Arab Spring uprisings that swept the region, many citizens were initially optimistic about the outcome, seeing a chance to overthrow the brutal Assad regime. Instead, the instability in Syria and neighboring Iraq gave rise to ISIS, and regular Syrians now found themselves trapped between two forms of repression and terror. As the early optimism quickly dissolved, a few bold cartoonists continued to document the situation in the country. At least one of them, Akram Raslan, apparently paid with his life after being tortured in prison. 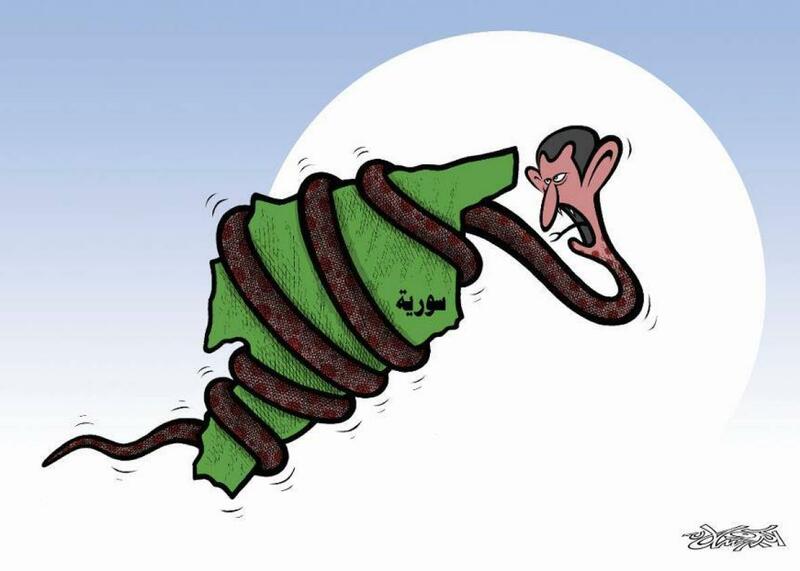 Another cartoonist who continued to sign his work was Ali Ferzat, part of the older generation who had worked in state-owned media before he turned resolutely against Assad. In 2011, after he drew a cartoon that encouraged the dictator to hitch a ride out of town with Muammar Gaddafi, Ferzat was brutally beaten by members of a militia that supported Assad. The assailants broke both of his hands, just to make sure he received the message that he should quit drawing. Instead he fled to Kuwait, where he continues drawing to this day. In tribute to Raslan’s courage, the independent news service Souriatna last month launched a new satire magazine named after him. In the first issue, available for free online, every cartoon is signed.